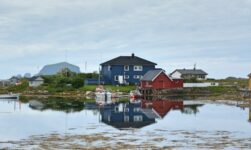 When planning my recent trip to Lofoten I wasn't exactly sure where I would be spending my days, how long I would want to be in each area, what to see, and so on. 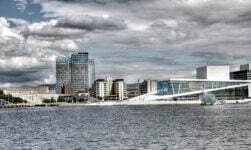 So I decided to stay for two nights in the regional capital, Svolvær. 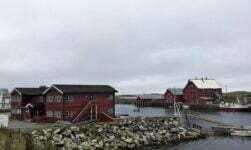 As the biggest town on the Lofoten archipelago, Svolvær has everything you need for a short break and more, despite its small population of under 5,000. That includes a couple of full-service hotels and apartments. But here's the thing about a break on Lofoten: It's about the driving, about the getting out there and exploring this magnificent gift mother nature left for us all to enjoy. 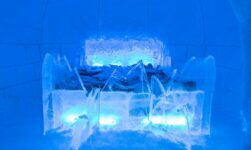 It's not about paying over the odds for a hotel with facilities you're simply not going to have time to use. 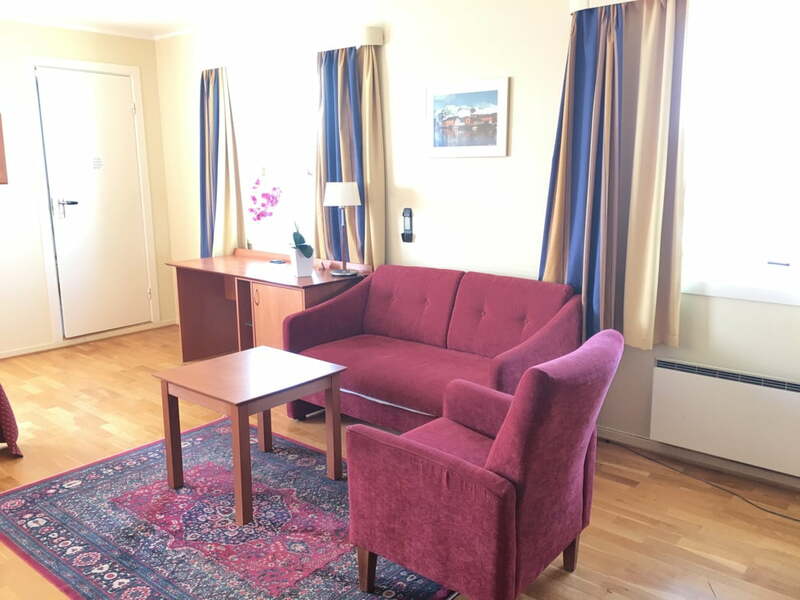 With that in mind, I booked two nights at the Vestfjord Hotel. 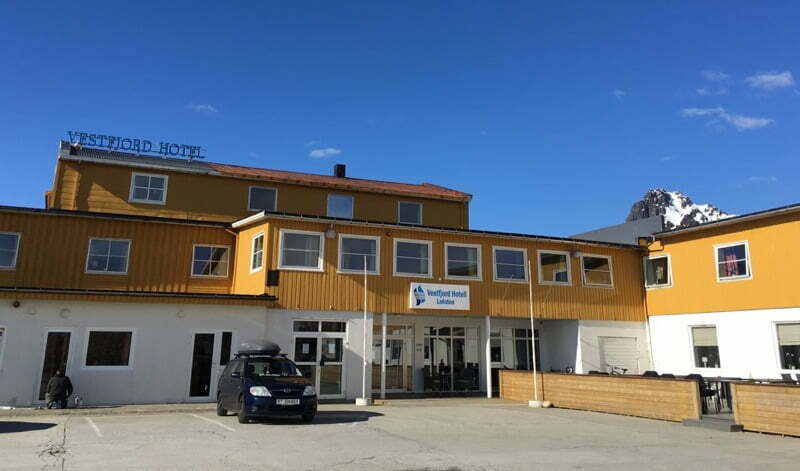 Although Svolvær isn't big, the hotel is located in a quiet area at the end of the Quayside. The only time you experience any real noise is twice a day from the horn of the arriving / departing Hurtigruten. Thankfully, they are both early evening arrivals! 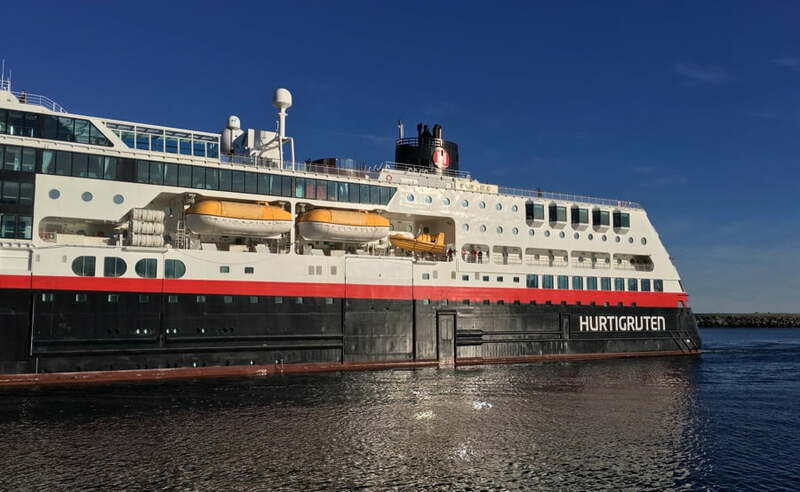 Seeing this Norwegian icon arrive is quite the sight too, as it sails right past the hotel. It's quite a surprise to find a modern reception, bar and lounge as you enter the former factory premises. The hotel is undergoing a step-by-step refurbishment and if this is anything to go by, it's going in the right direction. The licensed bar is comfortable and shows Premier League football on its screens. 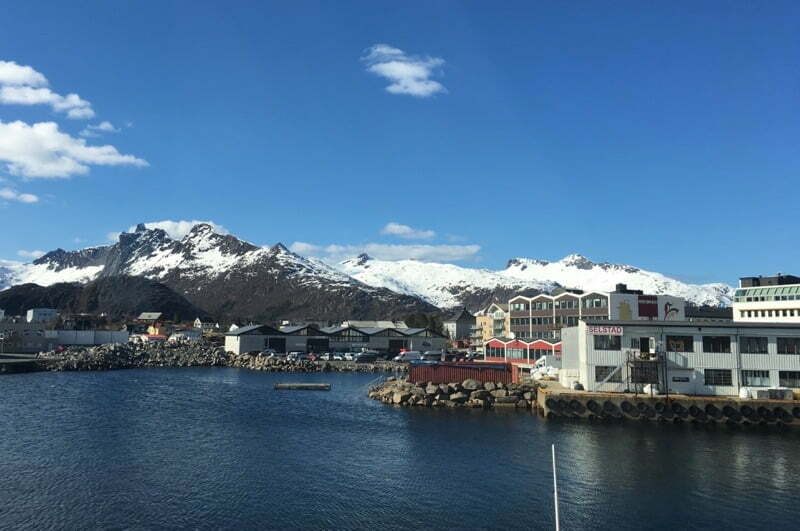 On my first night I spent an hour in the bar chatting with the receptionist / barman about how he came to be in Svolvær and what it's like to actually live in this part of the world. He gave me a whole bunch of tips for my stay and for my book, not least the kind of questions American tourists ask most often. Sadly the restaurant is not open on Mondays and Tuesdays during low season, and those were the exact nights I was staying! Nevertheless, I did get to enjoy breakfast there. 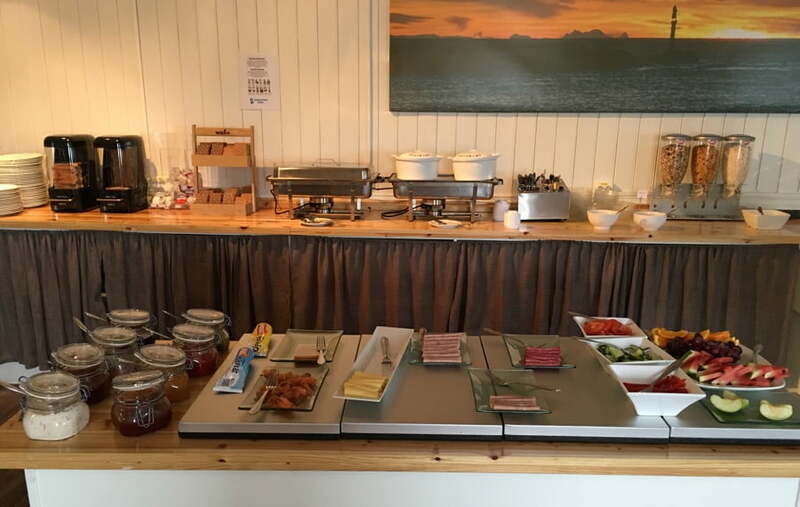 On offer was a simple Scandinavian buffet with breads, cold cuts, yoghurt, cereal, a couple of hot options, and lashings of coffee, of course. Everything you need to fuel up and get in your car for a day of exploring. 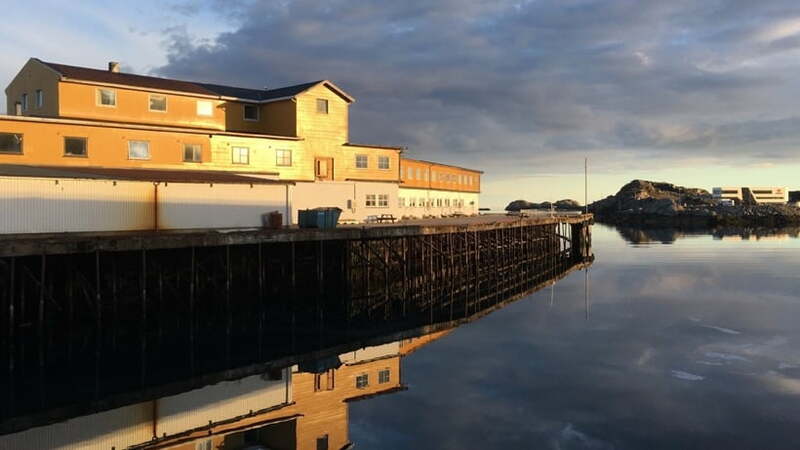 I later heard from a local that the Sunday buffet is quite popular with residents of the town, and that both the bar and restaurant get very busy whenever there is an event on, such as the World Cod Fishing Championships held ever March. Guess what's on the menu? The en-suite bathroom had a heated floor and decent shower, while the good-sized desk gave me a comfortable place to write up my notes after each day. The free WiFi provided by the hotel was good and I had no connection problems despite being the farthest room from reception. There were plenty of power sockets so I was easily able to charge my phone and camera, which you'll need to do after a day's driving in Lofoten, trust me! 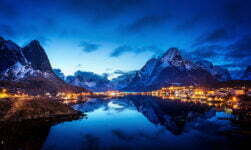 Svolvær is an excellent town in which to base yourself when exploring Lofoten. 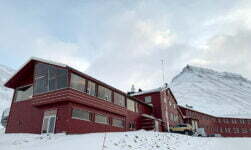 I recommend staying at the Vestfjord Hotel for its location, friendly staff and simple, affordable concept. Enjoy! 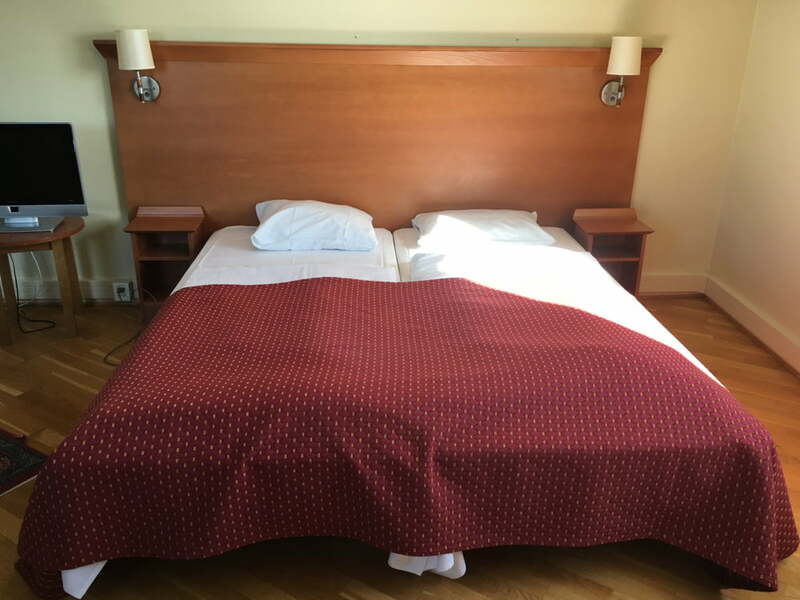 My stay at the Vestfjord Hotell was complimentary. However this review in independent and free from influence from the hotel management.